On Monday I posted some cards using Close To My Heart's new die-cut cards and I have to say once you start playing with these, you just can't stop. The possibilities are endless! 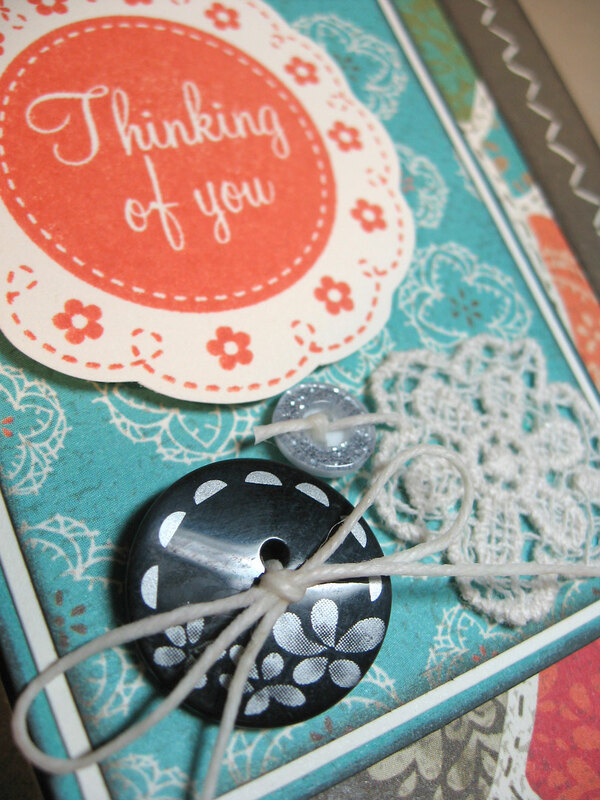 And since I was working on my Stella Workshop on the Go pages, I had lots of extra paper and embellishments to play with. 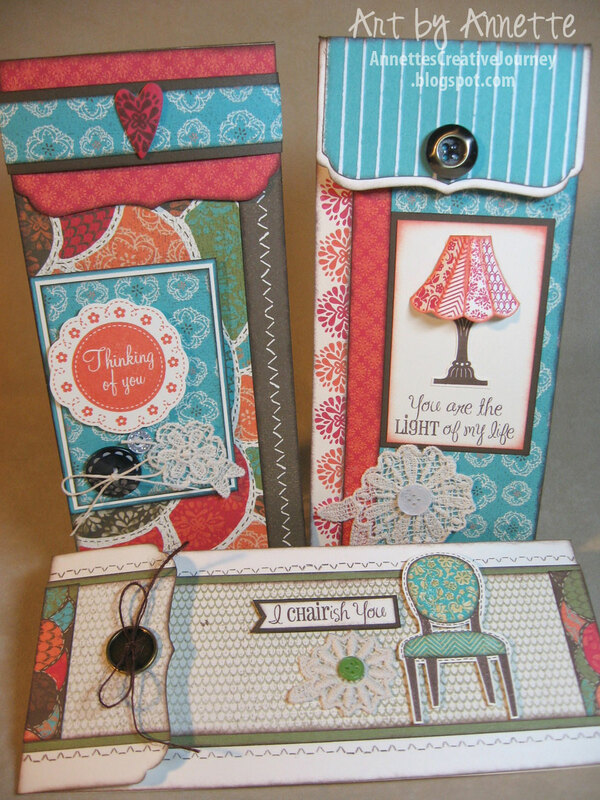 The embellishments are from the Bohemian Assortment and although they are included in the Stella Workshop on the Go kit, they are also available for purchase separately. 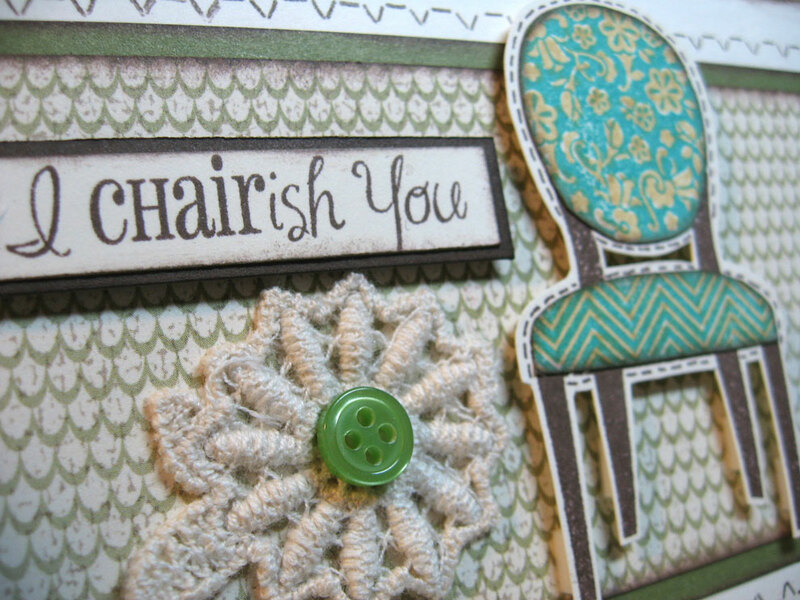 The assortment includes crocheted flowers in two sizes and a variety of vintage style buttons. See the crocheted flower? With a little fabric glue, these pretties stay down nicely. 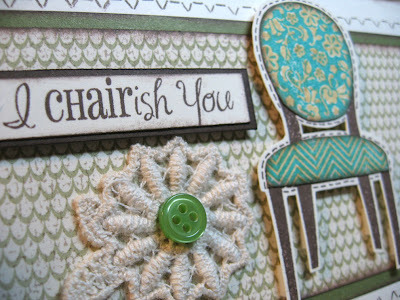 The chair was stamped a couple times and paper pieced back together. 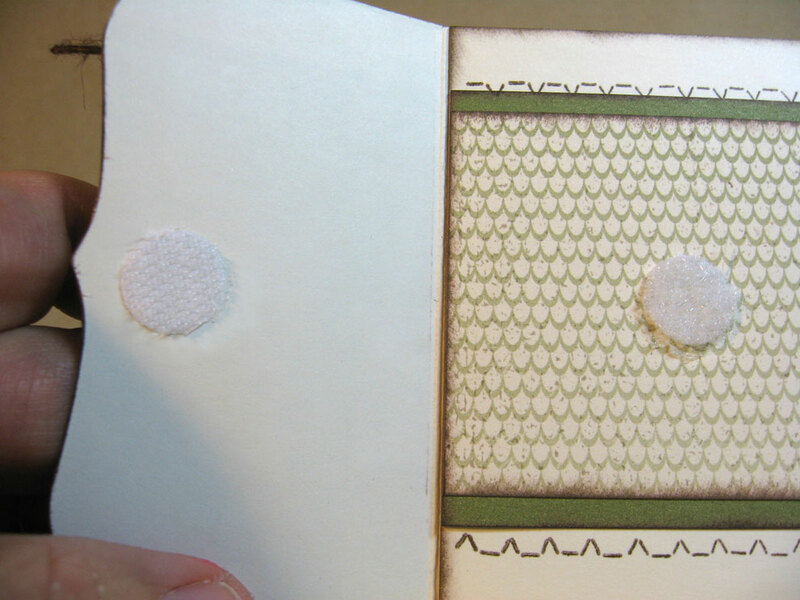 Although it's not really necessary, I like to add a velcro closure for the flap. I used some self-adhesive dots from my local craft store. Isn't this lamp shade fun? I simply stamped it twice. Once in Cocoa for the base of the lamp, then once in Tulip for the shade. I cut out the shade, gave it a score on the "seams" of the shade then (using Liquid Glass) glued the two outer edges so the shade was dimensional. See those pretty buttons and crocheted flower? Just love these! For this card rather than a velcro closure I made a band to slide over the flap. 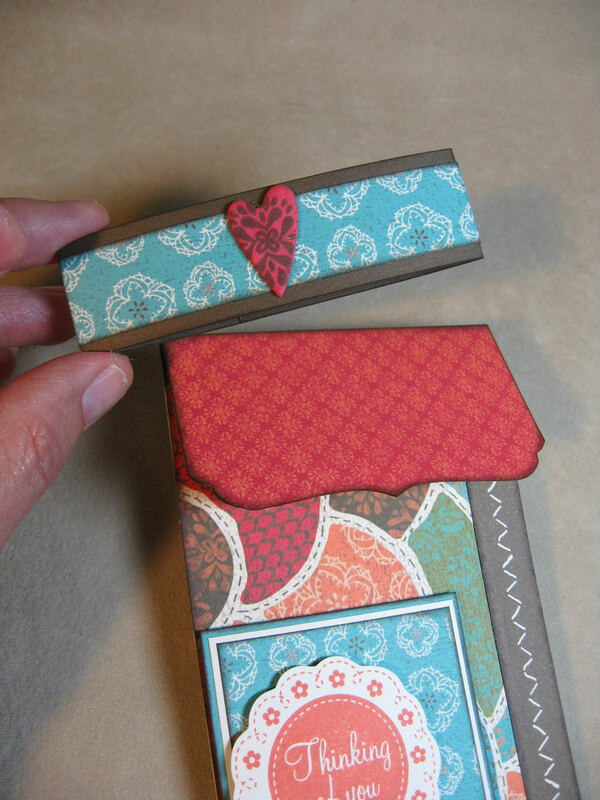 The chipboard heart is also included in the Stella Workshop on the Go. I simply inked it with Tulip, the stamped it with Cocoa. 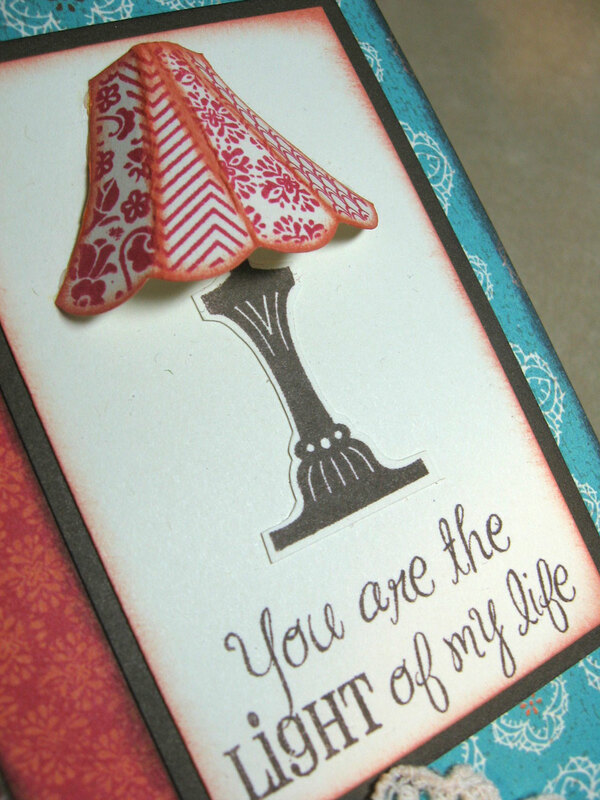 These Dimensional Elements chipboard hearts are also available separately. Stay tuned Friday for my Stella Workshop on the Go pages and see how I took Close To My Heart's workshop design and gave it my own twist. Wow! Great cards! 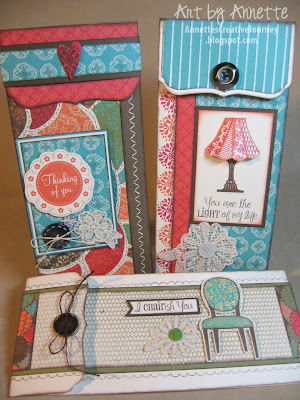 I love the dimension on the lamp shade and the band around the flap of the card is genius! Will it still slide into the envelope with the band around it? Thanks Amy. It does fit. It's tight, but it fits. Thanks again. Annette! These are soooo cute! LOVE them! I love your and idea! Beautiful cards!! 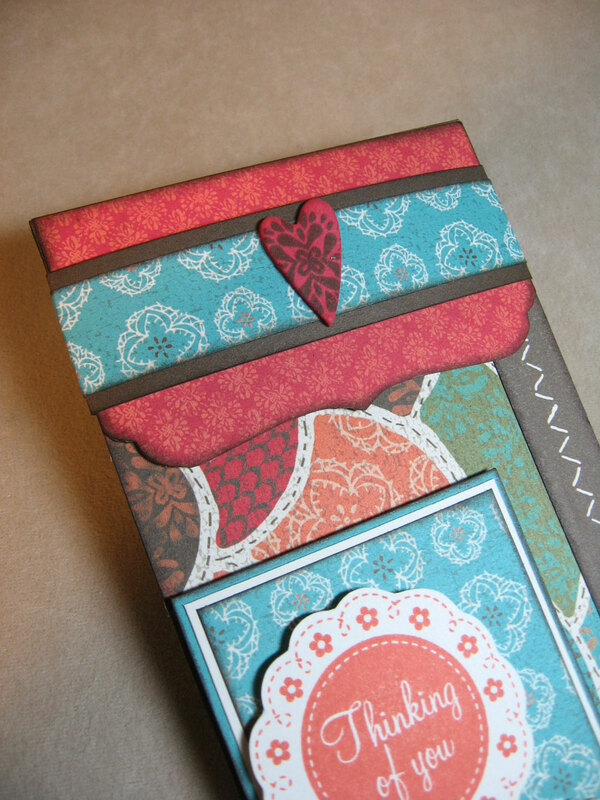 Annette I remember your card workshop way back when that I used on my first ever workshop. You inspired me then, and still inspire me! GREAT CARDS! !